Polyisocyanurate foam insulation is one of the North America’s most widely-used insulation products because of its high thermal performance. 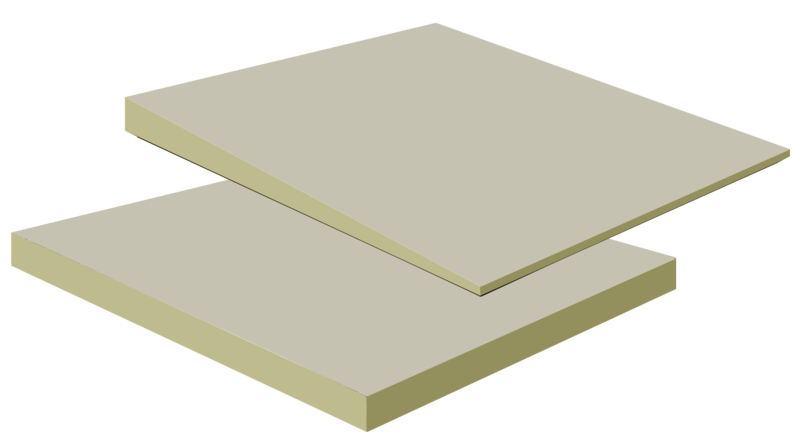 It is a closed-cell, rigid foam board insulation used primarily on commercial and industrial roofs. In 2010, ModulR has expanded its lineup of tapered products and services to include tapered ISO and Laminated Tapered ISO. The Tapered ISO package includes Auto CAD design drawings, tapered ISO and ISO filler panels. The Laminated Tapered ISO package includes Auto CAD design drawings and factory laminated tapered ISO and ISO filler panels for ease and efficient application.